This course in Personal Care Services introduces students to various careers in the following areas: cosmetology (which includes haircutting and hairstyling, esthetics, makeup, manicuring and teaching) and barbering (which includes styling and cutting of hair and facial hair, as well as manicuring for men); massage therapy, teaching body-mind disciplines (Pilates, yoga and the martial arts), and fitness (general exercise classes and serving as a personal trainer); and mortuary science (funeral directing and embalming). The course educates students on what every career entails, and the training and education they will require to become credentialed in a variety of career specialties. Moreover, almost half of the course is dedicated to teaching knowledge that is associated with a variety of professions, such that students are able to get a feel for what they will need to learn and whether they would wish to learn it. Of the 30 lessons, 5 are devoted to anatomy, which subject will be covered in one way or another in most educational programs that students enroll in to become personal care professionals. The first of Unit One’s anatomy lessons will cover the major organ systems. Extra anatomy lessons will be on the integumentary system (Unit Two), the musculoskeletal system (Unit Three), the cardiovascular and respiratory systems (Unit Four), and the lymph and blood systems (Unit Five). Furthermore, technical information that would be taught in the study of every profession will be covered systematically with the course progression, via particular job titles and career tracks. Every unit also consists of vital information on safety and health issues, including legal issues, in relation to a variety of personal care professions. Ethics are also covered in some depth as they ought to be applied to the professions of personal care. With the course progression, the student will learn about educational requirements for pursuing a variety of job titles, in addition to how they will prepare themselves to become credentialed in the chosen profession. Most of the job titles discussed in the course will require some type of professional licensure, and students gain from detailed information on this subject. In certain cases, job titles may require credentials from recognized professional associations. This information has also been laid out in this course, with students being directed to where they can obtain extra information on education, credentialing and training of professionals in personal care. 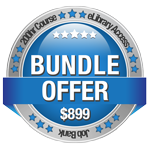 This course also offers vital information on private and public options for education and their costs may vary. The introductory material for every lesson has been designed to pique the interest of students in the lesson content, and the preparatory material is highly engaging, covering a broad spectrum of topics. In many cases, the teacher is actually able to use the material that is in the introduction of the lesson as part of the course content, because many of the introductions do contain additional useful information concerning the topic of the lesson. Lastly, the course features distinctive holistic and environmental health strands, which are also reflected in the final project, and the teacher is able to opt to emphasize this portion of the course, even augmenting it with additional material. Explore the variety of personal-care career types. Investigate the function and structure of the human body. Discuss the interpersonal skill types required for personal-care careers. Discuss the licensing, training and education required for a beauty industry career. Examine safety and health concerns and legal considerations of a beauty industry career. Explore careers in the industry of bodily health support. Discuss the licensing, training and education required for a career in the industry of bodily health support. Examine safety and health issues and legal considerations of a bodily health support industry career. Investigate careers in the fields of group exercise and fitness, and body-mind movement instruction. Examine safety and health concerns and legal considerations of a funeral-service industry career. Discuss how the different careers interact. Project: Ethical Dilemmas - What Would You Do?